Ever since Hades kidnapped Persephone, the world has been threatened with a perpetual winter. Under direct orders from Zeus, Hercules, Atlanta, and Jason set out to rescue Persephone and bring spring to the world. Solve puzzles in 40 different environments using each character's special abilities. Should you want some help, a two-player cooperative mode is available. 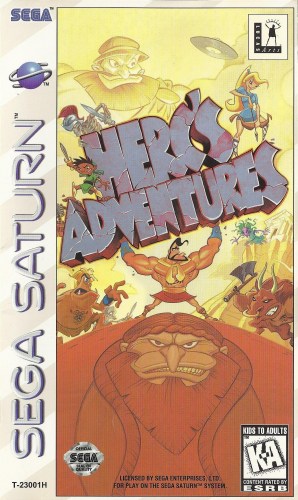 Save the world from becoming a planet of ice in HERC'S ADVENTURES.